I started a blog, probably about a year ago. It was something I wanted to do, but it was something I didn’t feel I had the time for. I would post randomly and usually without much thought. I loved the idea of it, but I wasn’t necessarily proud of it. Well I (finally) graduated college and decided the time is now to create something I love and that I am proud of. Blogging is something I’ve wanted to do forever. I’ve always loved to write and have kept a journal since my freshmen year of high school. It’s a sort of therapy – just the process of writing is enough to calm my emotions on most occasions. Anyway, this is my one do-over. 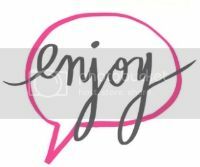 Clothes & Quotes: My life, clothes and quotes.